Next week the 3rd International Workshop on Dynamic Modeling will be held in Cologne. Where? Neues Seminargebäude, Tagungsraum (University of Cologne). Speech variation is a naturally-induced phenomenon in human speech communication which can be attributed to the inevitably multifaceted nature of interactions between various higher-order linguistic and lower-order physiological factors. Systems in perception and production are not static, i.e. they do not trigger canonical forms from which all types of variation must be seen as variants or noise. Moreover, flexibility and stability play an important role when investigating speech, and listeners are sensitive to those variations, which are driven by the complex interaction of different levels within the linguistic system. From this perspective, complex interactions of structural, contextual and phonetic cues are no longer a “the-devil-is-in-the-detail” problem, but rather direct reflexes of the speech system itself. This means that speech is a flexible system that guarantees pattern stability by allowing fluctuations around dynamically stable attractive modes of an invariant system. Recent years have increasingly witnessed the extensive development of dynamical theories which attempt to capture mechanisms of regulation that underly speech production and perception in a unified way. In this workshop we focus on capturing flexibility and stability in speech. 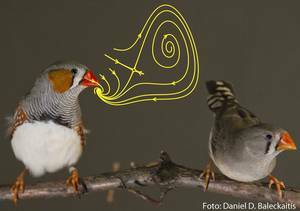 We touch on some basic theoretical groundings of speech dynamics and attractor landscapes, and discuss the significance of contributions made by different fields under the rubric of speech dynamics (linguistics, physics, psychology, computational linguistics and phonetics). The workshop is supported by the SFB1252, Prominence in Language.